XL Editor - A powerful word processor and PDF editor. 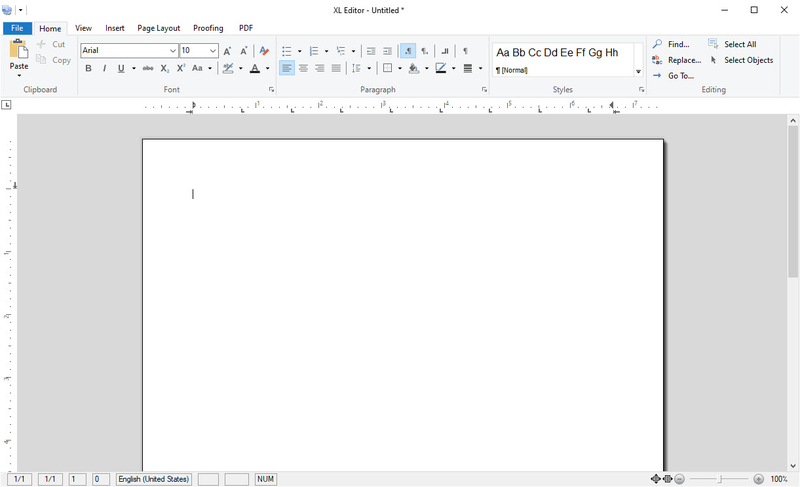 XL Editor is a simple and powerful word processor that is free for personal use. It can load and edit Word documents, PDF files, RTF documents and more. It includes support for tables, images, spell checking, page and paragraph formatting, header and footer, printing, and much more. It doubles as a PDF editor allowing you to modify existing PDF documents or create a new PDF from scratch. Free Download For Windows 10/8/7. 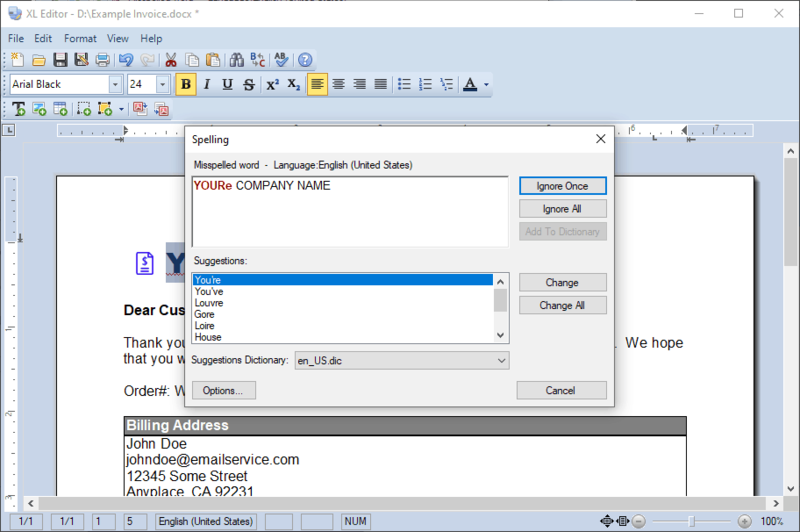 Create documents with ease using a simple interface with all the features expected from a modern word processor. Create and edit Word Documents (DOC & DOCX), Rich Text (RTF), HTML Documents (HTM & HTML), PDF Documents (PDF), and Plain Text (TXT). Open existing PDF files to edit just like any other document. Fix typos, change the wording, replace images, or add an entirely new section. 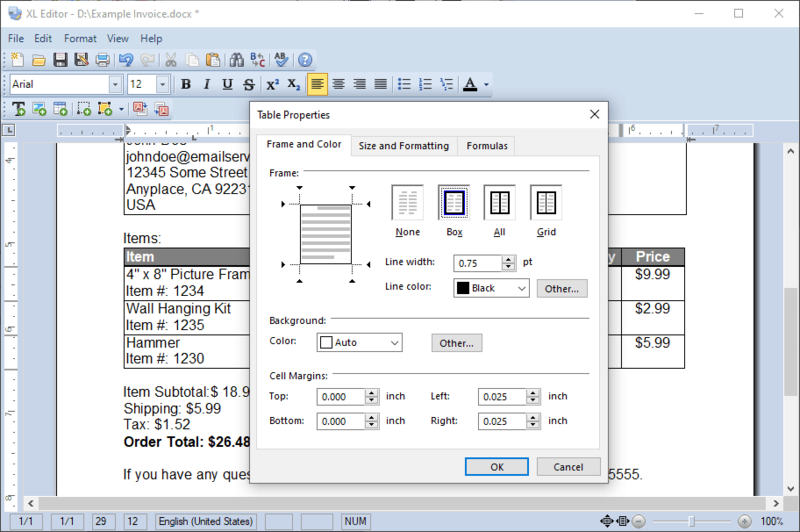 You can even create a PDF document from scratch! Check spelling as you type and on demand. Support for user-defined dictionaries. Create unique and stunning documents using footers, headers, bullets, tables, and columns. Enhance your documents by adding images, icons, and graphics. 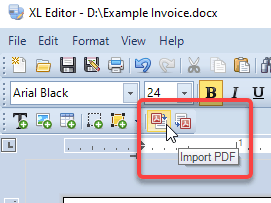 Load existing Word documents and export to PDF with two button clicks. Add text anywhere on your document using free-floating text frames. Full support for printing, including enhanced print preview. Convert PDF documents to Word and edit any contents! 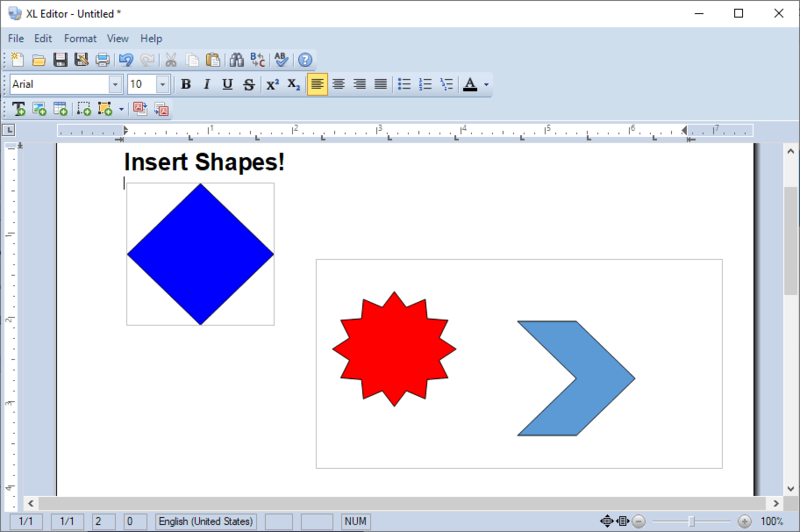 Add shapes anywhere on the document. 100% free for personal use. Commercial use license is only $19.95.